An impressive four bedroom detached home with a fantastic extended kitchen/diner family room, making the perfect entertaining space. This family home briefly comprises; Porch, entrance hallway, lounge, kitchen/diner family room, WC family area, four bedrooms and bathroom. The property further benefits from an enclosed rear garden, a driveway for several vehicles, double glazing and gas central heating. 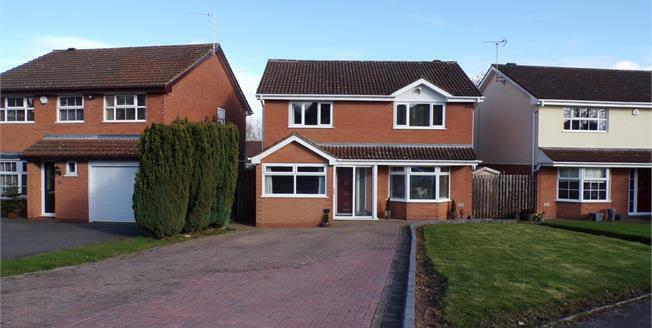 Viewing is highly advised to appreciate what this lovely family home has to offer. Karndean floor, radiator, stairs rising to first floor with storage under and doors leading to lounge, kitchen, family area and WC. Karndean floor, coving to ceiling, double glazed bay window to front, radiator and door leading to kitchen/diner family room. A range of wall mounted cupboards, base units and storage cupboards with work surfaces over, integrated induction hob, extractor hood, double oven, fridge, freezer, washing machine, tumble dryer, stainless steel sink with mixer tap over and drainer, and wine cooler. Two double glazed windows to side and rear, Karndean floor, two radiators, island with breakfast bar and double glazed French style doors leading to rear garden. Low level flush WC, hand wash basin, radiator and obscured double glazed window to side. Double glazed window to front, radiator and obscured double glazed door leading to side of property. Airing cupboard housing boiler and doors leading to bedrooms and bathroom. Double glazed window to front, radiator and built in wardrobes with mirrored doors. Double glazed window to front, radiator, storage cupboard and built in wardrobes with mirrored doors. Bath with shower over, low level flush WC, hand wash basin, heated towel rail, obscured double glazed window to rear, tiled floor and tiled walls. Paved patio with a laid to lawn area leading to a lower patio area. There are fenced borders and gated side access.